The Bangkok-Nakhon Ratchasima high speed railway project was approved by the Thai cabinet headed by Prime Minister Prayut and predicted to be completed by 2021. The project for the construction of the 252-kilometer-long stretch of the high speed rail project between Bangkok and Nakhon Ratchasima province under Thailand-China rail cooperation is estimated to cost 179 billion baht or 5.2 billion U.S. dollars and the funding will be raised by Thai government. 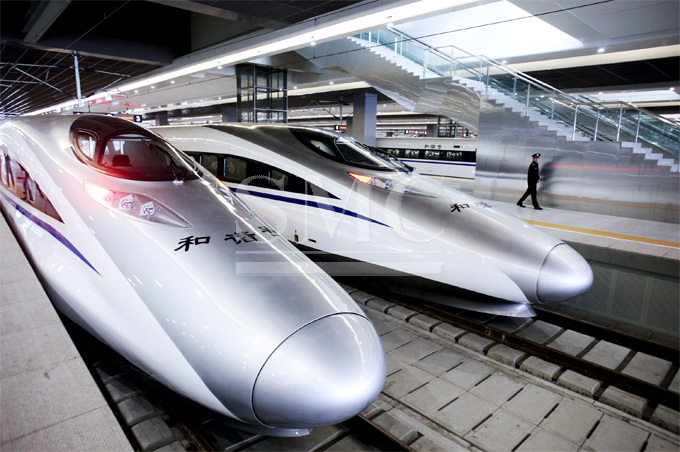 The Bangkok-Nakhon Ratchasima segment is the first phase of the Thailand-China rail project. From Bangkok's Bang Sue Station to Nakhon Ratchasima there will be six stations on which trains could run at the speed of 250 kilometers per hour maximum. The second phase of the project consists of the construction of the railway from Nakhon Ratchasima to Nong Khai province, which is opposite to Ventiane, the capital city of Laos. The high speed rail is projected to connect with China-Laos railway to create a mega railway. Prime Minister Prayut added that most of the components of the railway will b supplied by Thailand rather than imported sources and Thai engineers and others involved in the project will be trained to be knowledgeable of the Chinese technology.